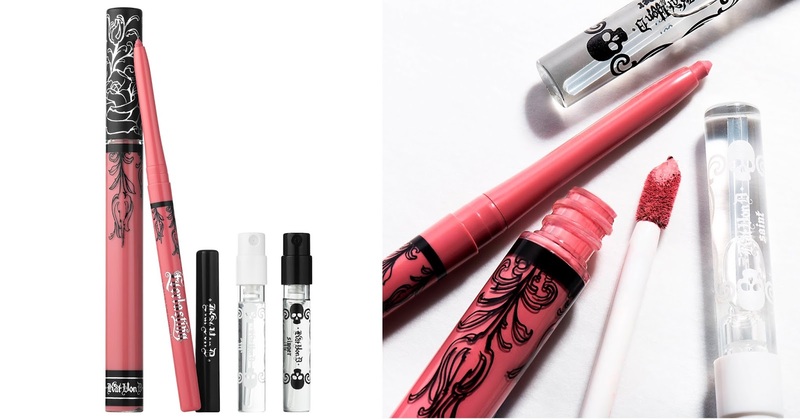 Kat Von D The Saint Set (0.29 oz.) 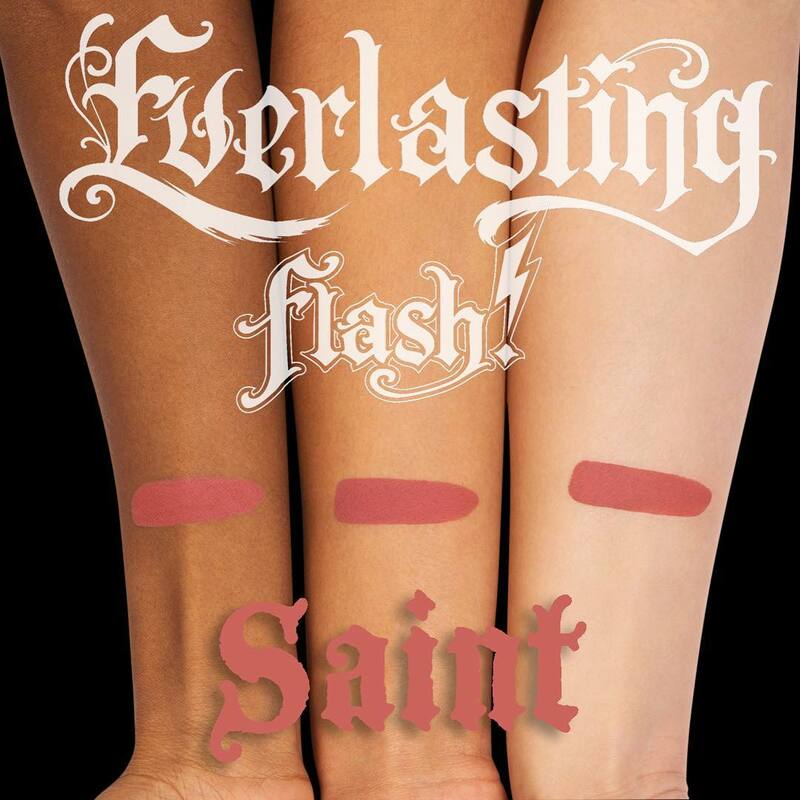 retails for $38 USD ($51 CAD) The Everlasting Flash set contains two, full-size lip products in a new, limited edition shade to celebrate the relaunch of the Saint and Sinner perfume, as well as two deluxe samples of the fragrances. The set is also limited edition and will only be available for 48-hours! 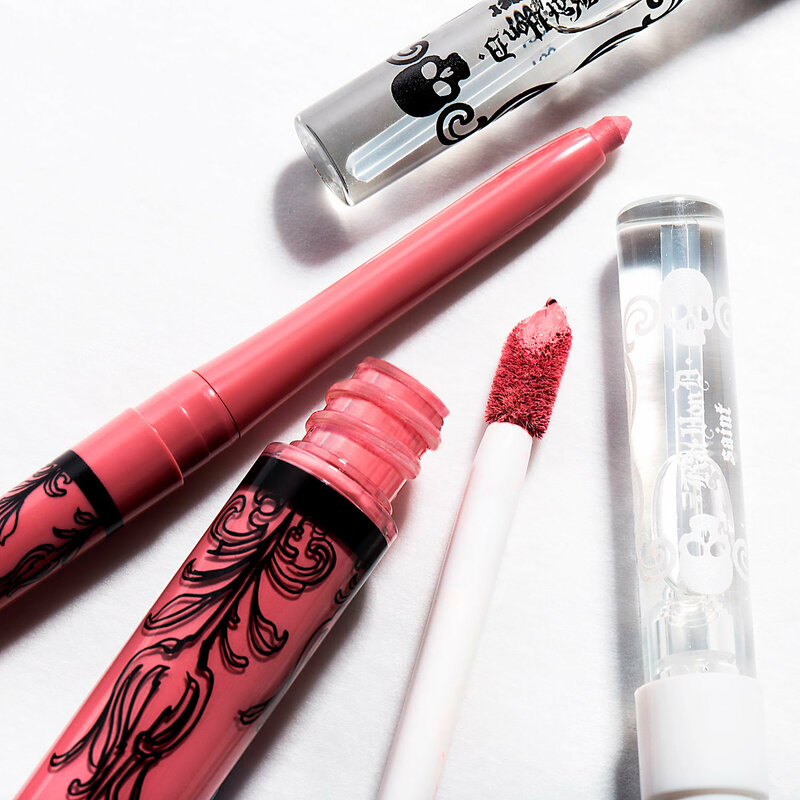 It has been asked on the official Kat Von D Beauty Instagram if the shade will be available later on as a stand-alone product or sold in stores, they have responded saying your only chance to grab the shade will be within this set—so be sure to add it to your cart while you can! 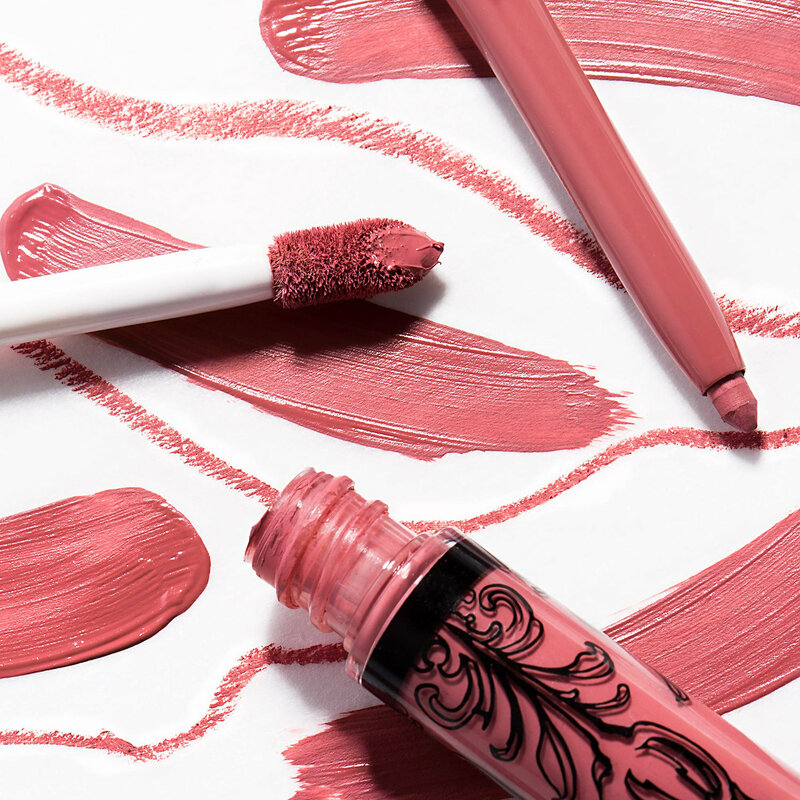 "In honor of her most highly anticipated launch of all time, Kat Von D created this super-limited Everlasting Liquid Lipstick and Lip Liner shade to celebrate her sweet and dreamy fragrance, Saint. 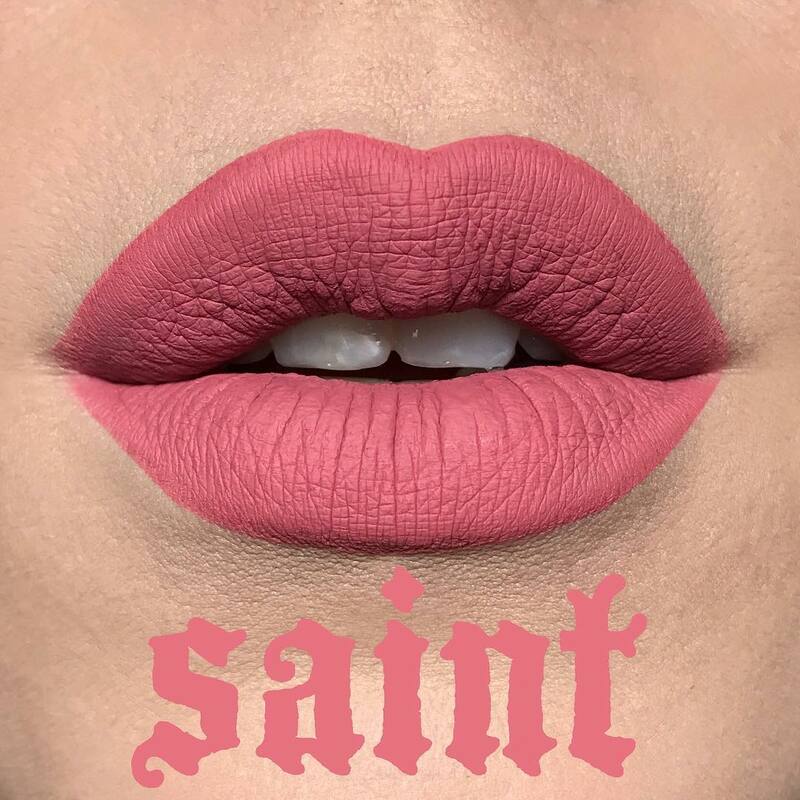 Created just for the launch of Saint + Sinner fragrances, this peachy rose shade perfectly captures the romantic essence of Saint—and you can only get it with Everlasting Flash. Saint is light and alluring with notes of warm vanilla, jasmine petals, and musk—the perfect candied floral for day. Sinner fuses notes of patchouli, wood, and spicy cinnamon to create a deeper, darker scent for night. 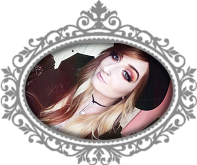 Whether you’re feeling saintly, sultry, or a little of both, there’s a scent for the two sides in all of us."